Pressure Cooker Chicken Parmigiana Italia is an Instant Pot recipe twist on a classic Italian dish. This is a lighter recipe for Chicken Parmigiana, without the thick breading, that cooks in less than 10 minutes in an Instant Pot or other multi-cooker or pressure cooker. Today I’m featuring a recipe from Peggy Under Pressure. Peggy is Patty’s pressure cooker. A beautiful 8 qt. Elite digital electric pressure cooker, which Patty has been using and loving since 2009. An Instant Pot is one of the most popular brands of electric pressure cookers. They are easy to use and your Instant Pot can help you create this delicious Chicken Parmigiana Italia! Tuesdays are Italian night at our house, so I couldn’t resist making Patty’s favorite recipe last Tuesday. We loved it too and I’ll definitely be making it again. One change I would make next time is to add the Parmesan cheese to the sauce after pressure cooking the chicken. I used my Instant Pot without a non-stick coating and clean-up was a pain. I also melted the cheese on top of each cooked chicken breast under the broiler instead of in the pressure cooking pot. 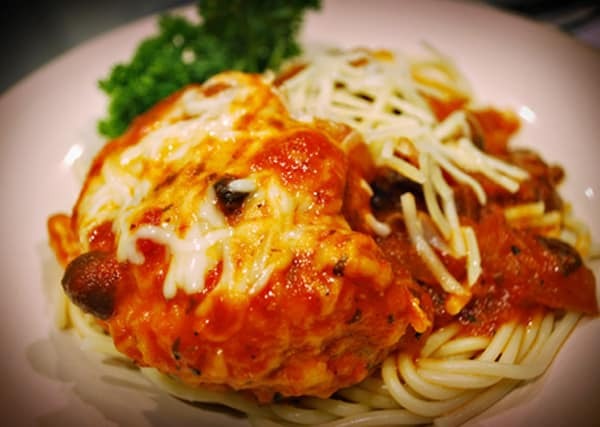 Visit Peggy Under Pressure for Patty’s delicious Chicken Parmigiana Italia recipe. You’ll be glad you did. If you would like to have a recipe featured on Pressure Cooking Today, please contact me at pressurecookingtoday at gmail dot com. I just made this tonight and we loved it. This recipe will become part of my permanent collection. I received a pressure cooker for Christmas and have been looking all over for recipes that are flavorful and tasty to make in it. This chicken recipe really fit the bill. Hi barbara, in the past I have had pressure issues with tomato sauces . How should this recipe be handled? Looks delicious! 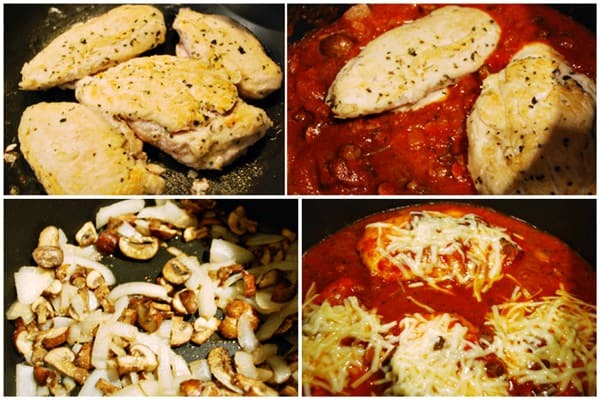 Hi Arlene – if you’ve had trouble in the past, perhaps you’d be better off sticking with a recipe that has a little more liquid for cooking and then reducing the sauce after, such as this one http://www.pressurecookingtoday.com/marinara-chicken-with-melted-mozzarella/. Then just change up the spices and ingredients that you like in this recipe. Basically combining the two recipes. Sometimes jarred sauce has thickeners that can cause problems. I’m new to cooking with an electric pressure cooker so what pressure do you cook this recipe on. High or Low? Do I click the “meat” button or just “manuel”? Thanks! Hi Gloria – just use the manual button on high pressure. Enjoy! That does sound delicious. I haven’t made chicken parmigiana in ages!